Showcasing member projects from HackRVA! 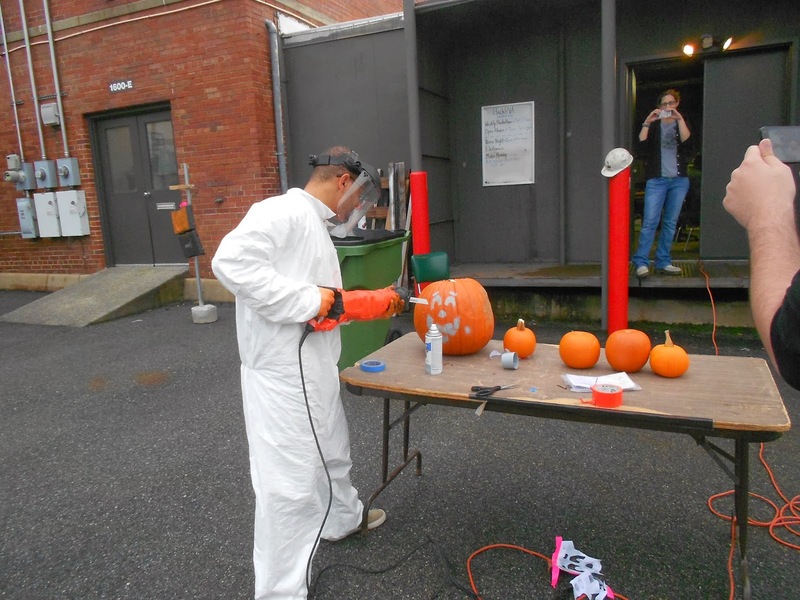 Halloween Hackathon 2013 at HackRVA. 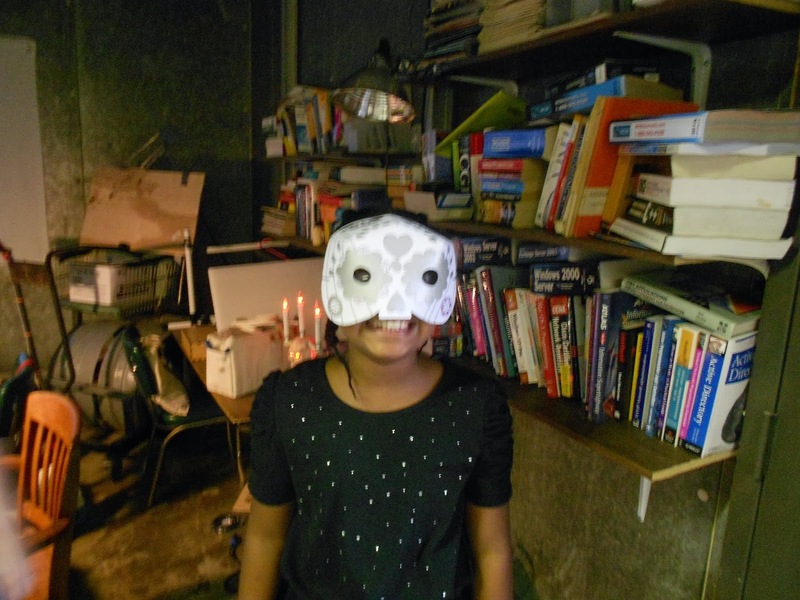 We made LED Throwie Ghost Boxes and Haunted Houses, 3D printed decorations, paper masks, and played some classic scary movies. 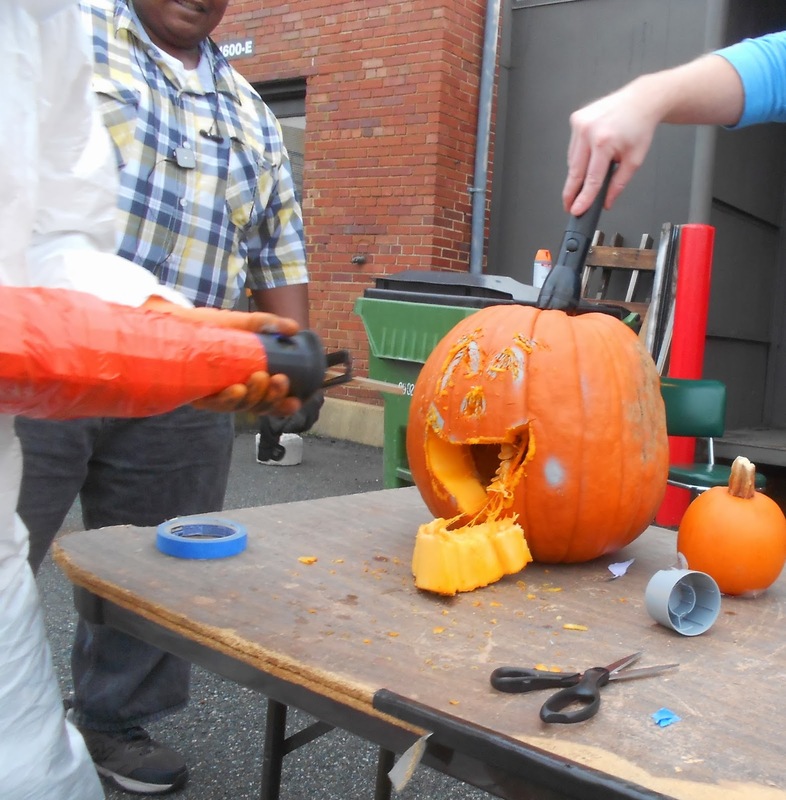 We were also visited by the PUMKINATOR; a sawz-all welding jack-o'-lantern cutting madman. 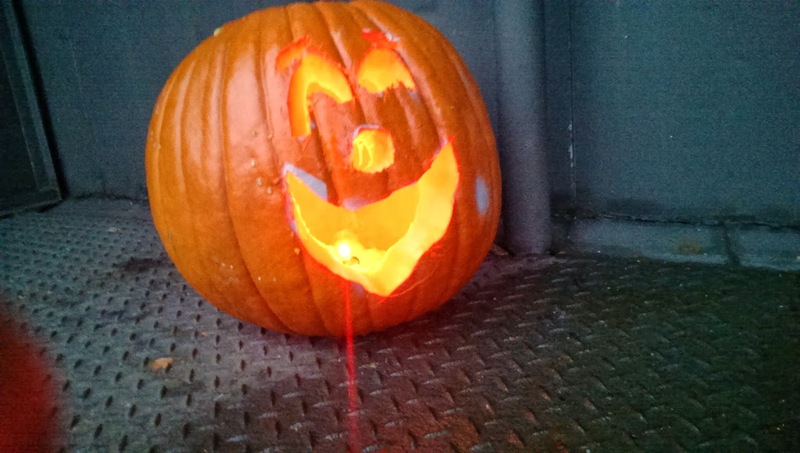 ⇓ More pics and a video of the PUMKINATOR after the break. 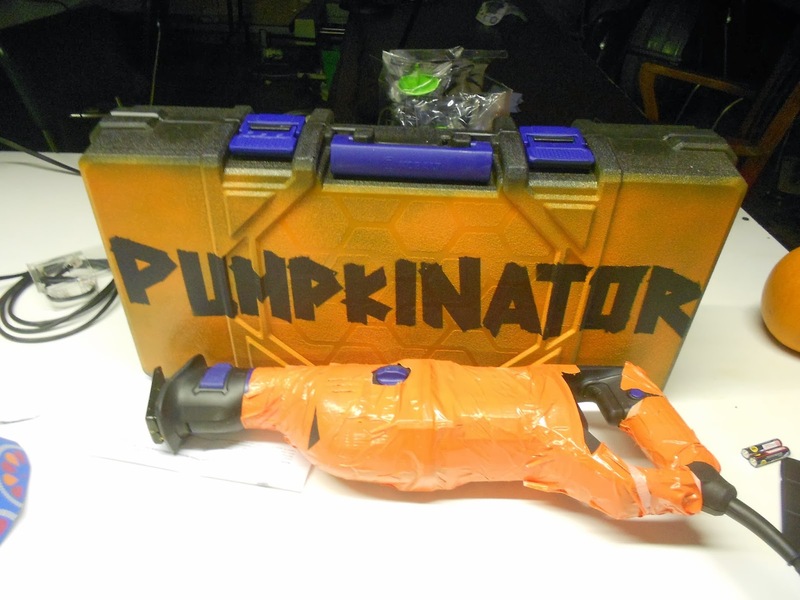 Here's a video of the PUMKINATOR in action! 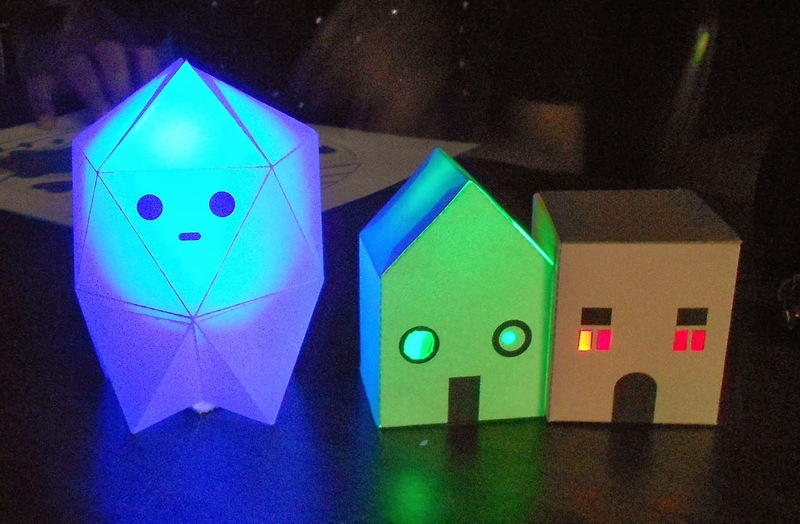 For more coverage head over to the RVA Maker Guild blog post. And even more pics in the HackRVA Photostream. 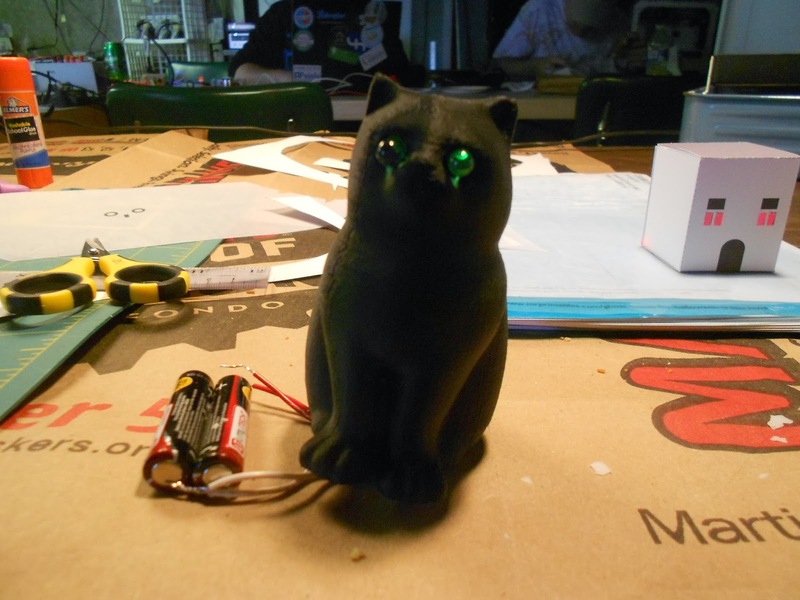 HackRVA is a makerspace located in Richmond, VA. Please visit our main website for information about becoming a member or attending upcoming events.